Image: IDG composite using iStock photo. It’s the IBC video trade show this weekend and, as usual, Adobe has announced updates to its post-production and animation applications just in advance. 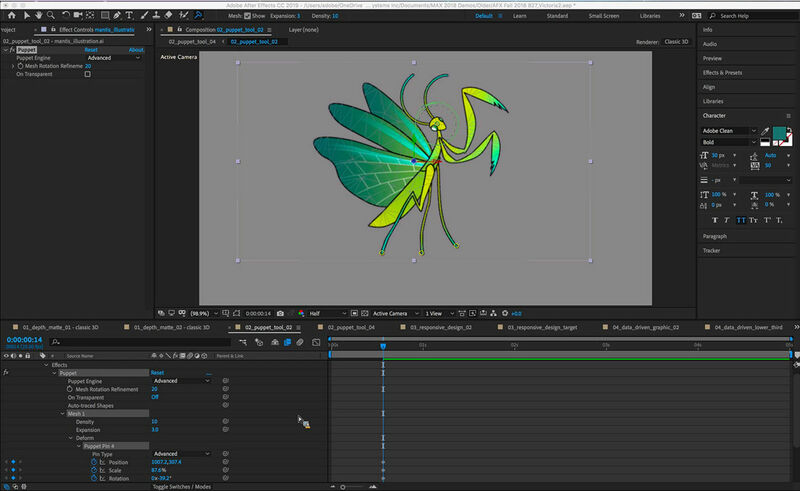 The company has shown off new versions of After Effects, Premiere Pro, Character Animator and Animate (previously known as Flash Pro). 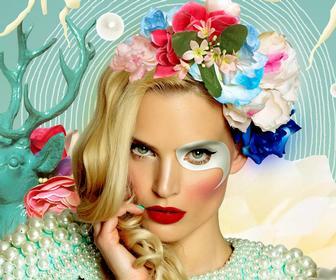 Adobe hasn’t said when the updates will be released, but last year upgrades previewed at IBC shipped in mid October to coincide with the Adobe Max conference, as part of a wider Creative Cloud update. 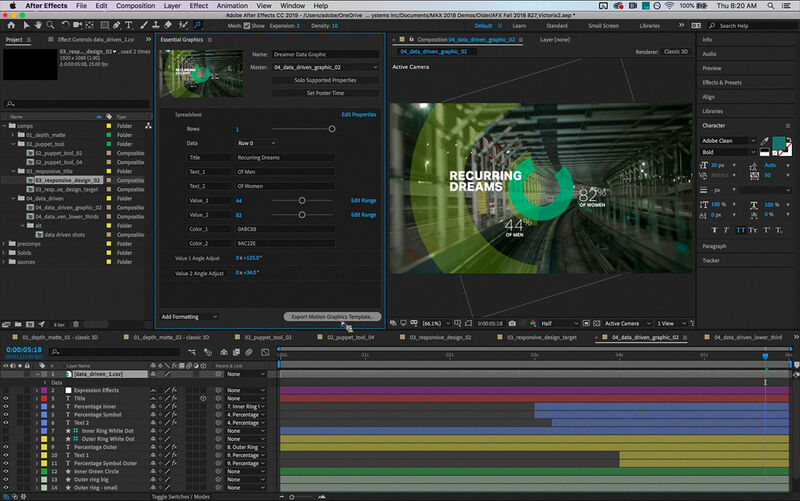 The focus for the upgrades are on better integration of motion graphics, animation and colour grading. 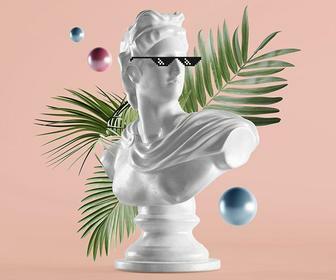 In After Effects, you can use 3D channel effects on 3D elements created in After Effects, allowing you to use effects such as Depth of Field and Fog 3D to better composite 3D graphics into your scenes. 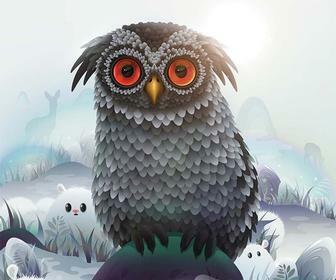 Previously you only apply these to 3D elements that you’ve imported. 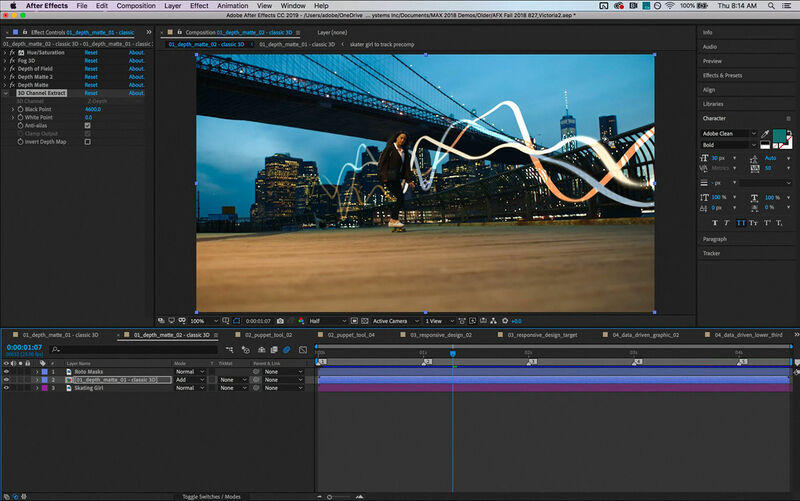 The Mocha AE motion tracking tool is now a plugin with After Effects, and is GPU accelerated. 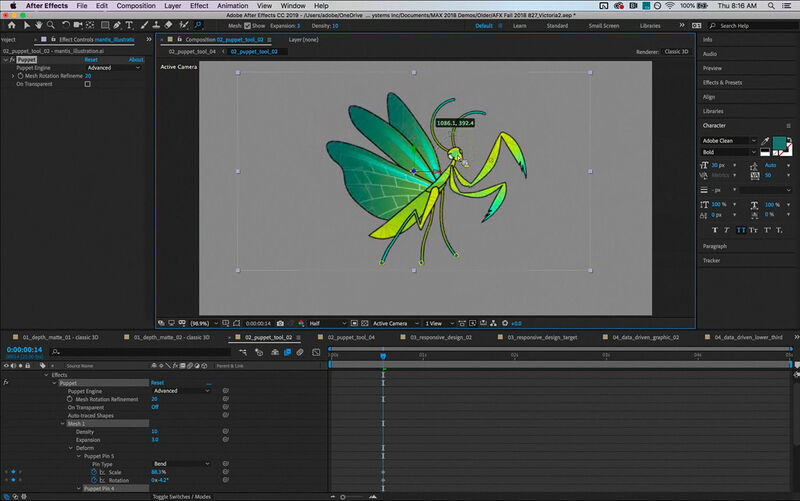 For animators, Adobe has added advanced features to the Puppet tool, based on the new engine introduced in the previous release. The new pins allow you to scale and rotate the pose of your puppet based on their meshes – and Adobe has added specific Bend pins to allow you to rotate its pose only, for example for secondary animation. Also in the next version of AE, you can add data-driven graphics into Motion Graphics Templates you’ve created using the Essential Graphics panel (first introduced in 2017), by pulling these from a CSV. 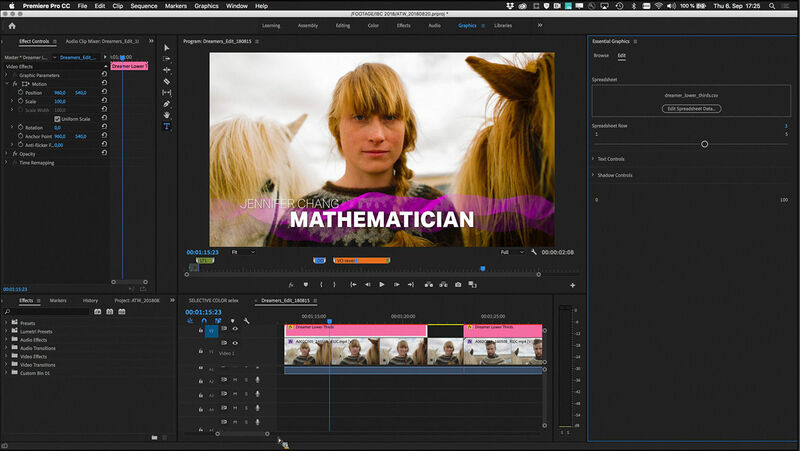 These template can then be used in Premiere Pro in wider editorial templates – with the ability to update or replace the CSV driving it from within Premiere. This can also be used to create multiple variations of a template by switching between rows, including changing colours based on hex colour values. Motion Graphics Templates will also be able to offer control over fonts used – though you can also lock this down if you want editors using Premiere Pro to stay on brand. 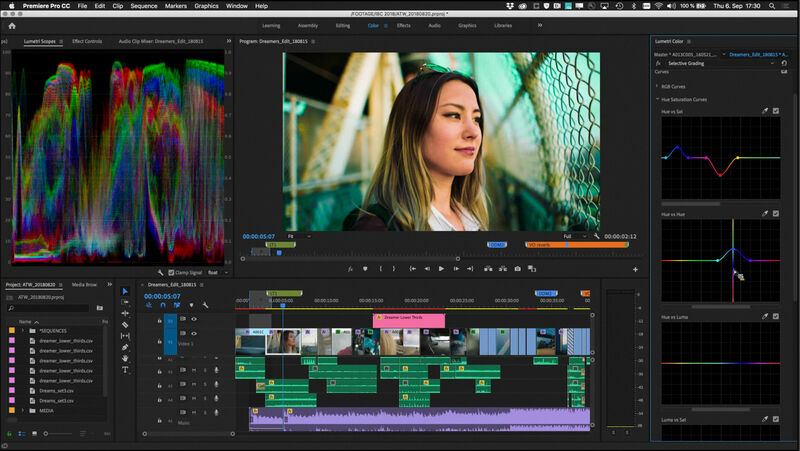 Premiere Pro itself gains improvements to the Lumetri Colour colour correction system. ntelligent clean up tools, DeNoise and DeReverb, in the Essential Sound panel. 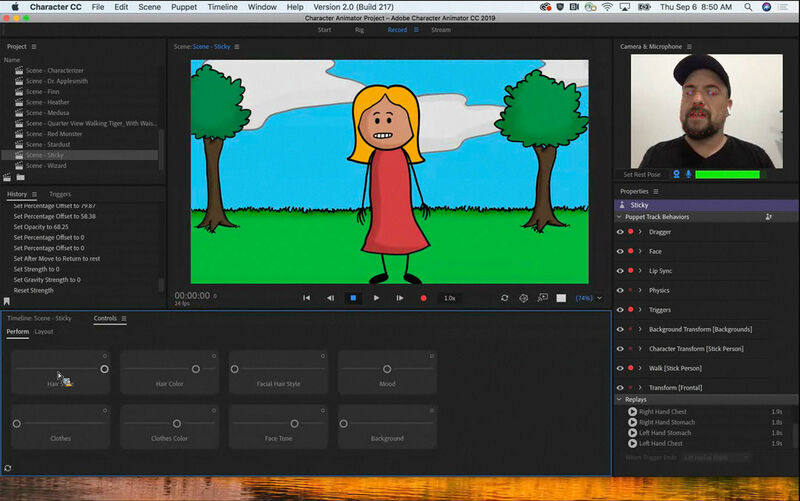 Character Animator will be upgraded with features for both new and experienced users. 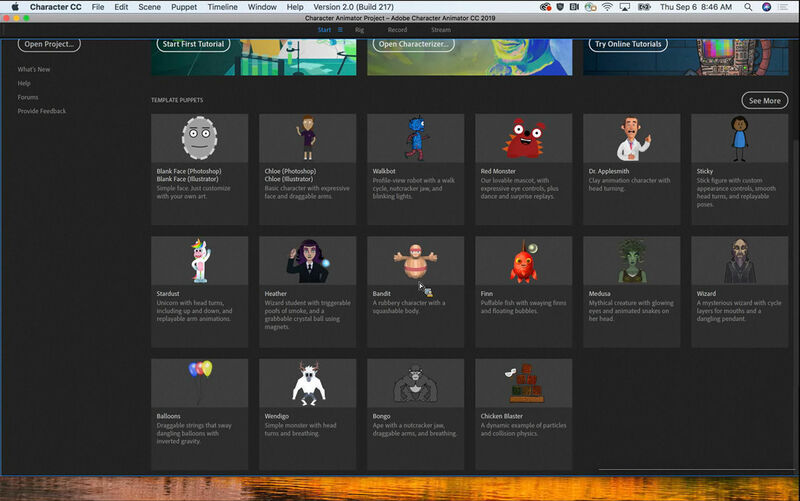 For those starting out, there are new puppet templates to experiment with. For long-term puppeteers, there are more properties for more advanced setups. The new Magnet property is used to attach objects to puppets, so characters can pick up and move objects. The new Shoulder Sway and Hips Sway property make characters with a 3/4 walk cycle animate in a less rigid and more pleasing way. In the Perform part of the Control panel you will be able to select different layer options based on showing/hiding layers to change character attributes. Adobe showed us this being used as a quick way to change clothing and hair-styles of a character (or character template to create multiple characters). 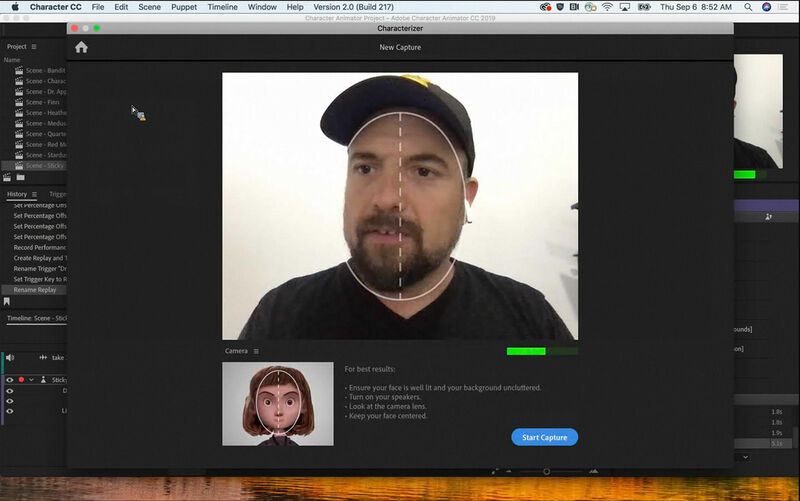 The new Characterizer tool lets you turn your own face – or that of an actor, singer or presenter you’re working with – into an animated character. Using the same webcam setup you use for controlling your character’s face, you take a series of selfies inside a mask area – pulling a series of expressions for the software to track (neutral, smile, frown). 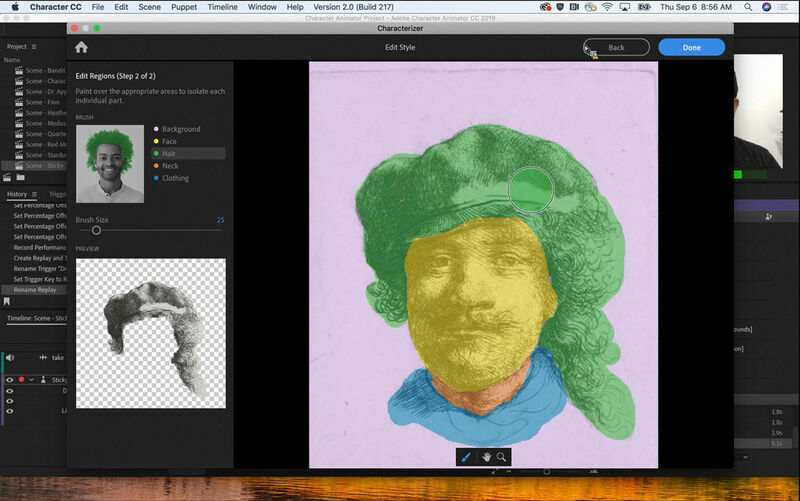 You then say phrases including Adobe, Photoshop., Lightroom, Woo-hoo) to let the Characterizer track your mouth movements. 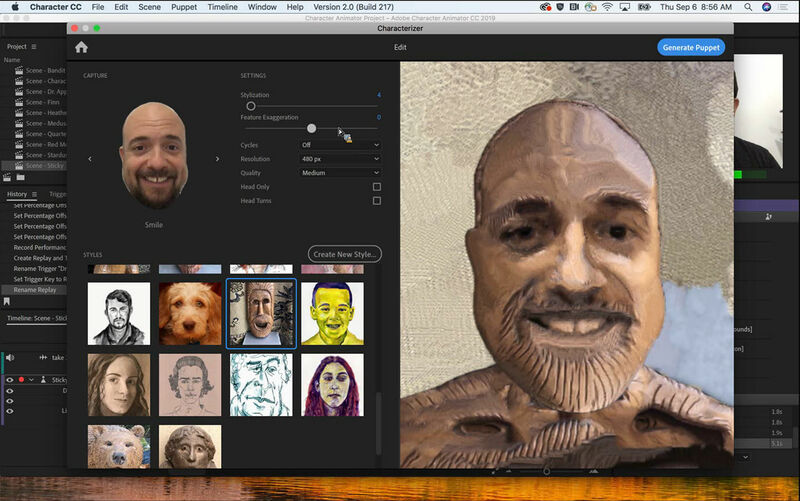 You can then stylize the results with filters and caricature-like feature exaggeration. It’s possible to edit the rig underpinning the puppet to fine tune it, and brush in or out areas you want to keep/exclude.